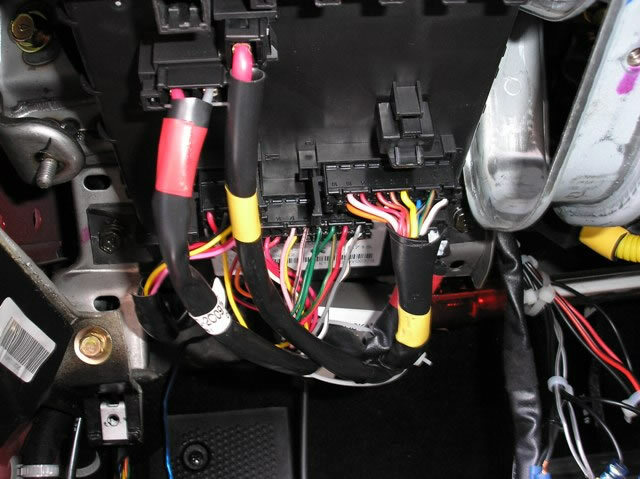 NOTE #1: this vehicle has (2) (+) Positive PARKING LIGHT wires, to connect, will require 2 extra Relays Part #775, to Install, See DIAGRAM. 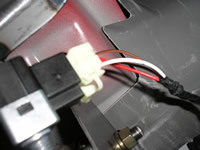 NOTE #2: this vehicle uses a "TYPE F" DOOR LOCKING SYSTEM, that will require an EXTRA RELAY PART #775, to connect, See DIAGRAM. 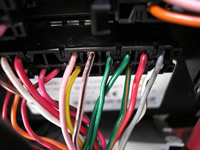 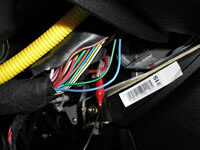 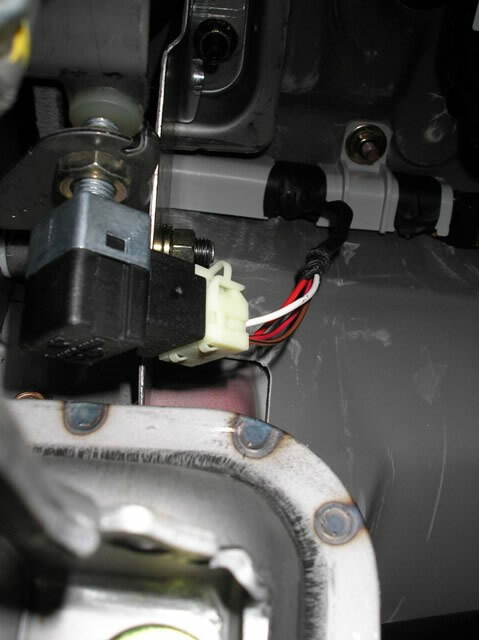 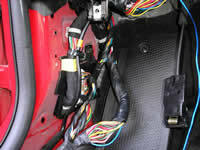 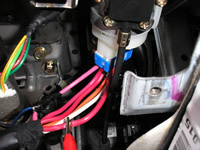 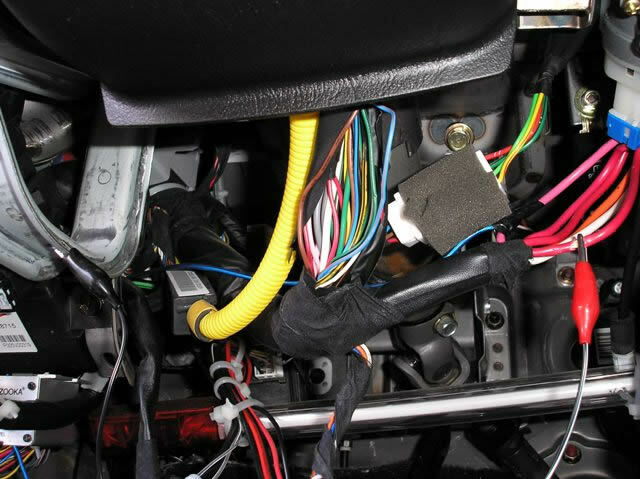 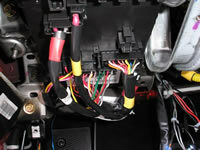 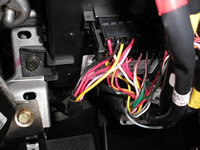 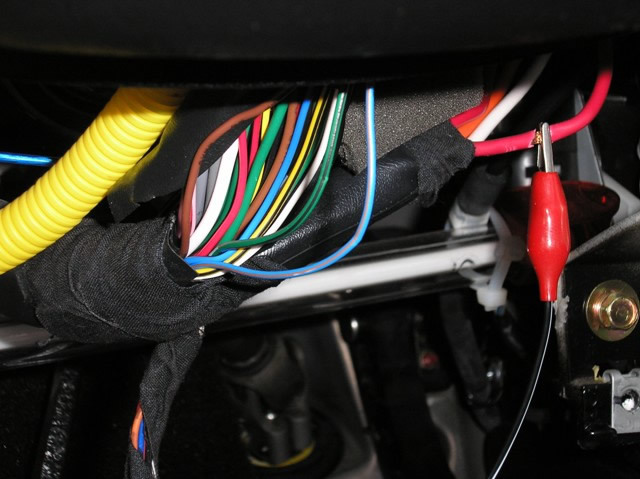 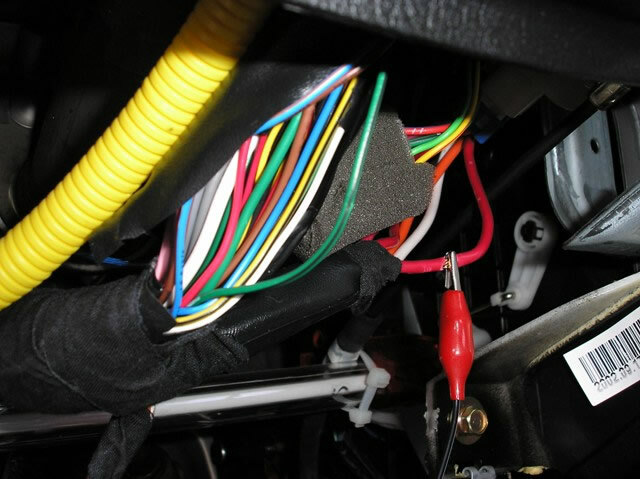 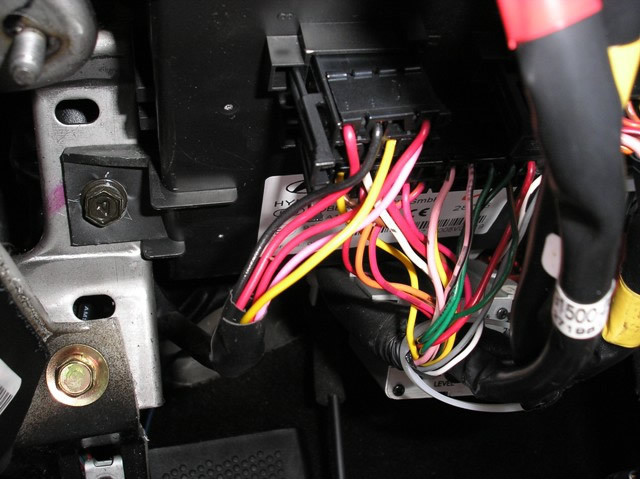 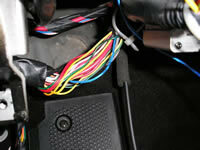 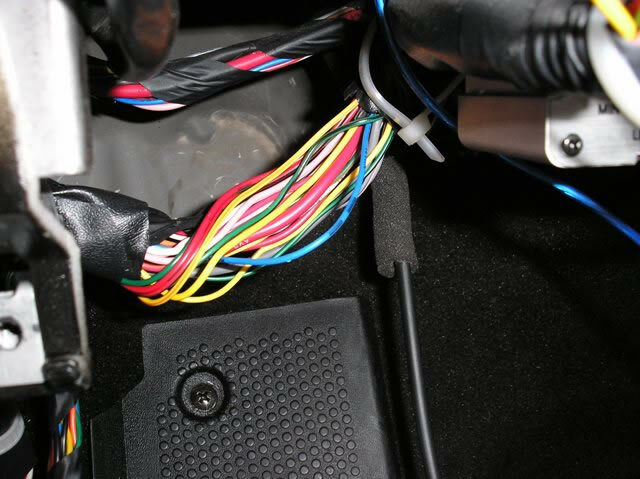 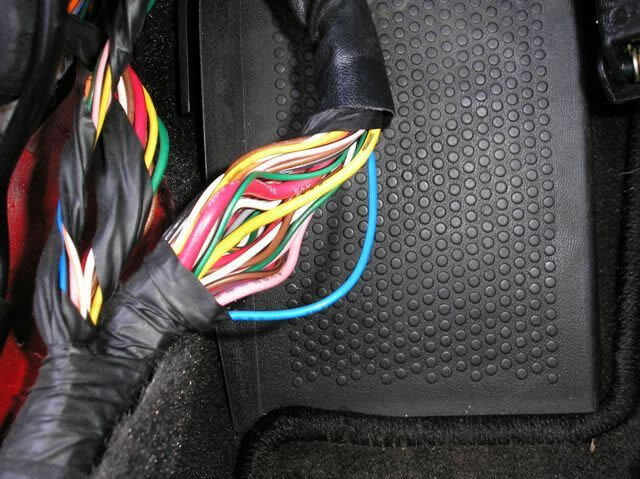 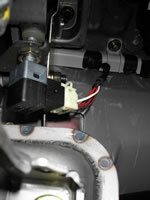 This picture shows the BRAKE wire (+) WHITE wire in the Brake Switch wire harness.